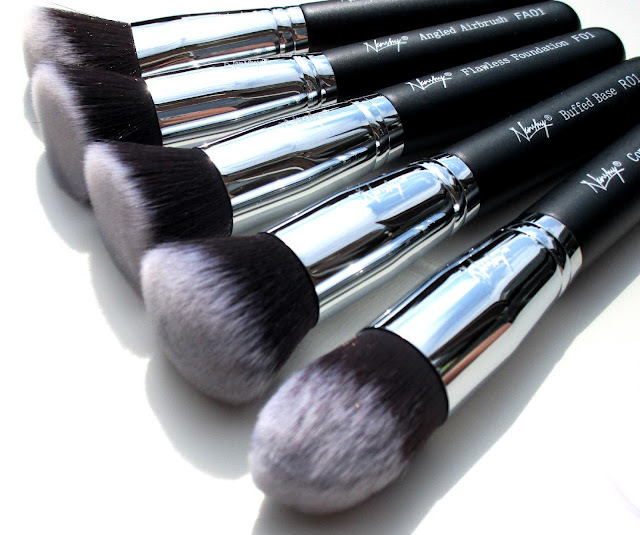 HaySparkle: Nanshy 'Gobsmack Glamorous' Face Makeup Brush Set Review + GIVEAWAY! I think it's fair to say we all lust after luxury feeling makeup brushes that can work together with our base makeup to help us achieve a brighter looking complexion, create buildable airbrush-like coverage, hide imperfections and achieve the smoothest finish imaginable, and after trying the gorgeous Nanshy 'Gobsmack Glamorous' Face Makeup Brush Set* I can safely say that all of the above is easily achievable. 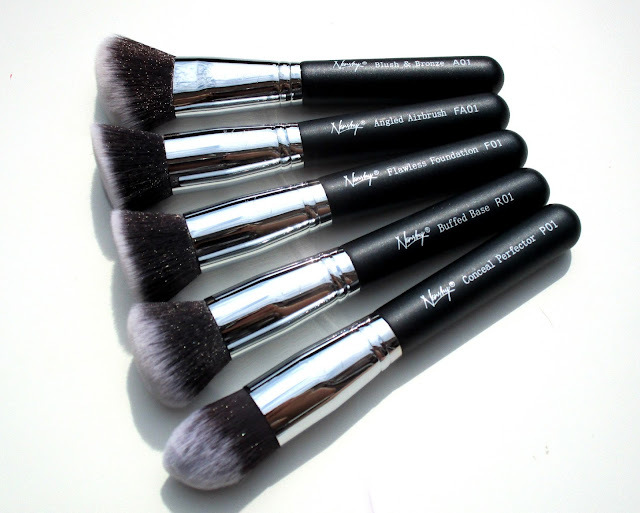 The Nanshy 'Gobsmack Glamorous' Face Makeup Brush Set (£34.95) is the stuff of base makeup dreams, it contains five full size brushes each having super soft, lush, anti-bacterial, cruelty-free bristles that are held by robust metal ferrules on top of ergonomic Onyx Black handles (pearlescent white handles also available) and can be used with mineral, liquid and cream makeup. 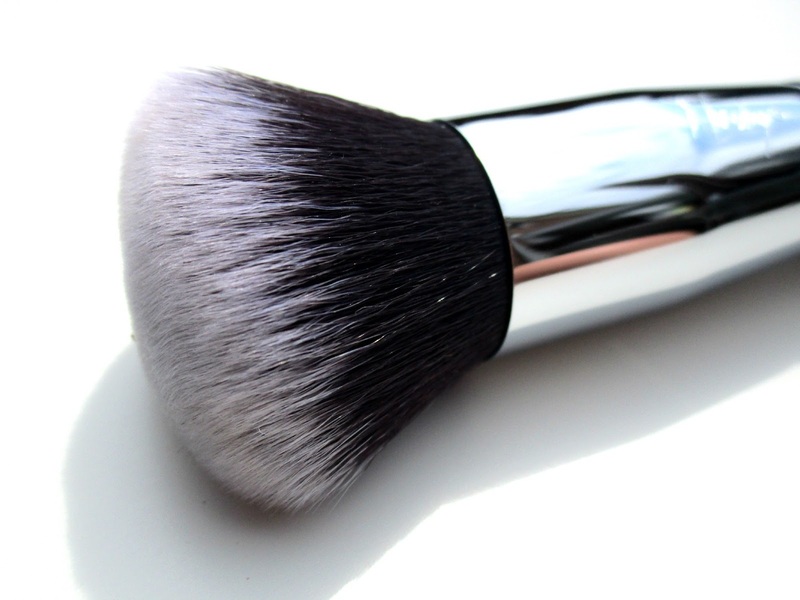 The Blush & Bronze Brush is my new favourite brush for when I'm getting my bronzed goddess on ha ha, it just applies bronzer in such a flawless, even way, I love it! 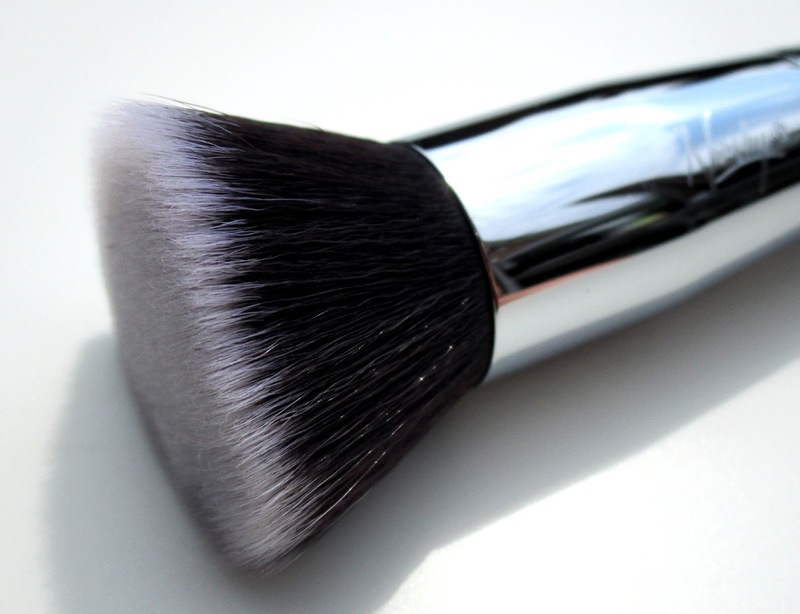 It has lovely dence, angled bristles that help you achieve a lovely contoured look as well as blush up those cheeks, personally for me I find it abit large to apply blush but I know for some it would work brilliantly. 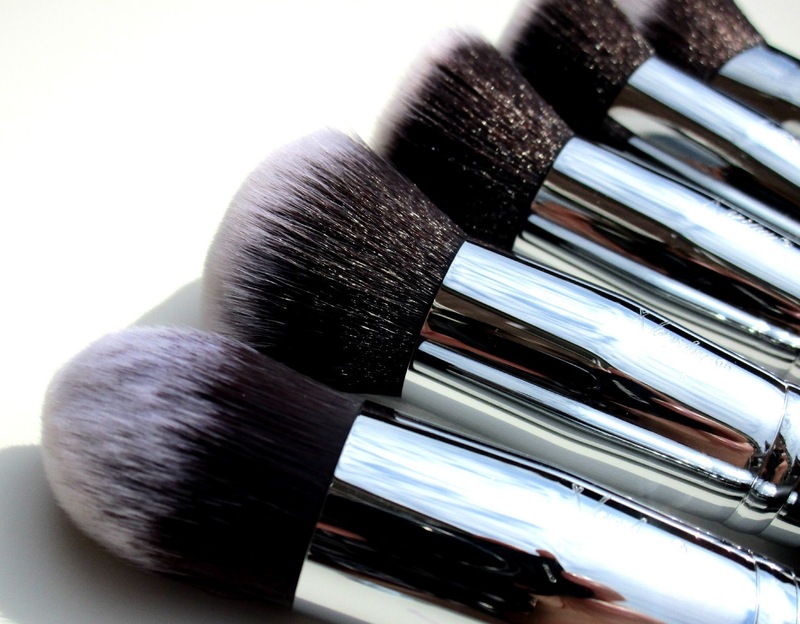 The Blush & Bronze Brush is actually a set exclusive and is not available in the Gobsmack Gorgeous Set which is good to know. 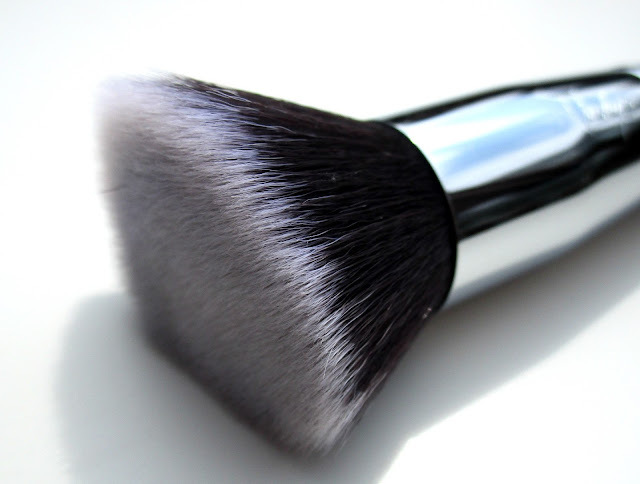 The Angled Airbrush Brush can be used in numerous ways, firstly it's a great liquid foundation brush and makes easy work of getting into any nooks and crannies, you can either use it in buffing motions for and even application or use the angled edge to layer up over areas that might need more coverage. Secondly it work well with setting powders, again the angled edge really helps push the product in and really seal that makeup into place without it looking heavy or to overdone. The Buffed Base Brush is easily my favourite brush out of the collection, if you love a good buffing brush to buff in your foundation then trust me, this is a brush you need in your life. 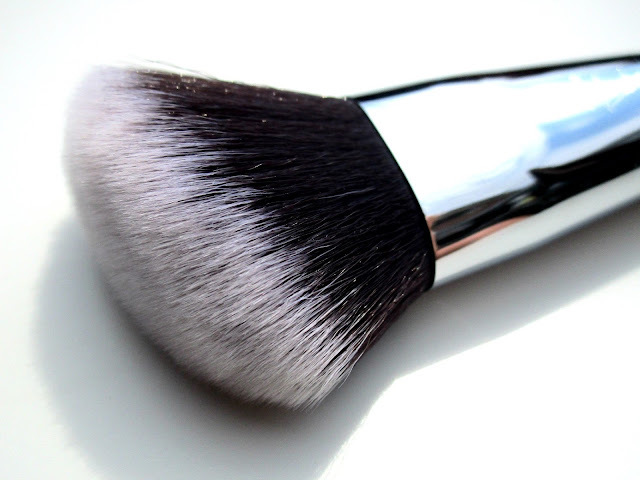 The Buffed Base Brush just seems to buff in my foundation in seconds leaving not a single streak or cakiness in sight, just flawless, even, dewy looking skin. Arhhh I love this brush so much. 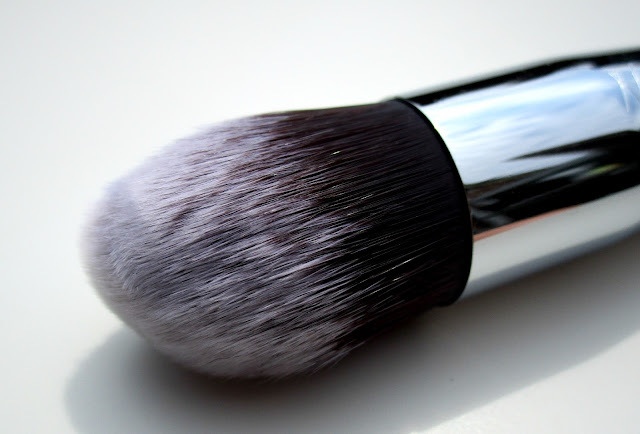 The Conceal Perfect Brush is a pointed brush with a soft rounded tip which is best used in specific targeted areas to apply and blend any concealer, foundation, and even tinted moisturiser such as under the eyes and around the nose. It's shape also makes it a great brush to use with setting powder to set the under eye area, it just moulds itself perfect to the shape of the eye and sets the area completely without a heavy, cakey look or feel. To co inside with my Nanshy 'Gobsmack Glamorous' Face Makeup Brush Set Review, Nanshy have kindly sent me another Face Makeup Set to giveaway to one of my lovely blog followers... How exciting!!! All you have to do to enter is complete the mandatory steps within the Rafflecopter form below. 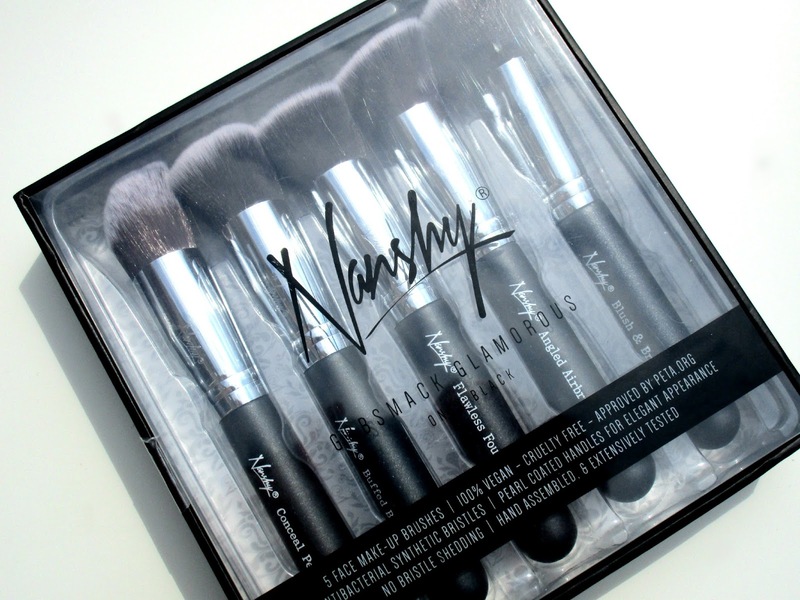 -There will be ONE winner of this competition winning ONE 'Gobsmack Glamorous' Face Makeup Brush Set in Onyx Black worth £34.95. - The winner will be emailed and announced on Twitter. The winner will then have 7 days to claim their prize. If I do not hear from the winner within this time frame a new winner will be picked. -If the winner has not entered all of the mandatory entries they have claimed to, all of their entries will be discounted and a new winner will be picked. - The prize will be posted 2nd Class standard delivery to the UK. I will not be liable for any loss or damage but will make sure the prize is packaged well. I like product reviews of things new on the market! I'd love to see more hauls and a what's on my iPhone post too! I'd love to see a makeup collection! I'm so nosey plus it makes me want to buy loads of makeup! I love reading comparison type reviews.. High end and good drug store dupes. Thank you for the giveaway! These brushes look fantastic, I love your beauty posts. I also love hauls and collection posts too. I would like to see beauty hacks. Ah these brushes look beautiful!! I love braid tutorials and nail art tutorials!